IN AND OUT: Being LGBTQ on Vashon Island will be an interactive, collaborative exhibit and series of programs that examine and celebrate the long, quiet history of LGBTQ+ people on Vashon-Maury Island. GoFundMe funding will be used to develop, design, construct, and install the exhibit at the Vashon Heritage Museum. In addition, if available, funds will help design and print an educational book about the exhibit, support a series of programs during the exhibit, and integrate this special exhibit and its innovations into the Museum's permanent exhibit. The exhibit will open June 7, 2019 as part of the island celebration of Pride Month and be open through April 2020. Since the 2000 census, Vashon Island has had the largest per capita concentration of Gays and Lesbians in Washington State. We feel there is a crucial need for this exhibit: despite the importance and prevalence of the LGBTQ+ community on Vashon, no acknowledgement, book, or educational piece has yet been created to put the community in context. 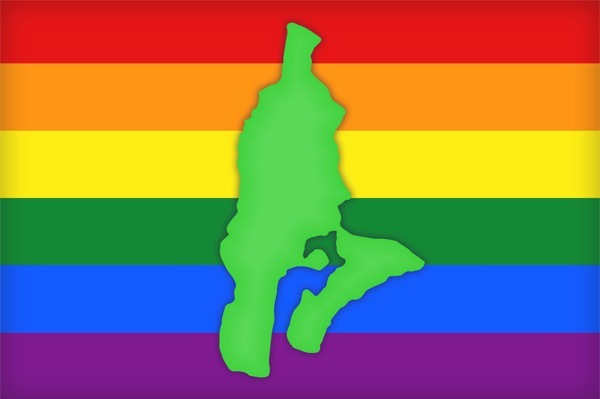 There is not really a formally or informally organized LGBTQ+ community on Vashon, more a spread of disparate individuals who, while they may know each other, have never witnessed themselves represented publicly as an identified community. This exhibit will tell the history of the LGBTQ+ community on Vashon-Maury Island.